Before we rush into the importance of terpenes, let’s first go over what a terpene actually is. A terpene, also scientifically referred to as an isoprenoid, falls under the multifaceted class of organic compounds – specifically the aromatic hydrocarbons, consisting of multiple repeating linked isoprene subunits. In order to be considered a terpene, a molecule has to exhibit the proper structure. These subunit compounds can be arranged in a variety of ways from 5-carbon rings to 5-carbon chains, resulting in over 30,000 different terpene isomers (same formula, different arrangement of atoms). You’re probably wondering why all this matters – especially if you aren’t too chem savvy. Well, given this chemical makeup, terpenes have proven themselves useful and quite therapeutic. Terpenes are probably the coolest of aromatic communicators. Seen in plants, fruits, trees, cannabis, and insects, terpenes are commonly used to communicate within their species, like pheromones. Unlike pheromones, though, terpenes are capable of transmitting information across different species – an absolutely incredible trait, biologically speaking. So, let’s go into how and why terpenes are useful. These powerful aromatic organic compounds are secreted as a defense mechanism to protect host plants by deterring plant predators – often by attracting the predators of herbivores and sending out “warning signs” to herbivores (if poisonous). Given the complexity of terpene chemical signaling, the study of these easily evaporated compounds has been of great interest to many biologists. Scientists are working to understand the scope at which terpenes can interact. They hope not only to incorporate more profound pharmacological implications but also to make more practical advancements in the field of agriculture. Perhaps we are getting too technical – but hang in there; the good part comes next! Terpenes also attract pollinators, interact with cannabinoids, and have a wide array of medicinal effects. The uses, benefits, and functions are rather widespread. Some are specifically helpful in relieving stress (aromatherapy), pain, inflammation, appetite, anxiety, and bacterial infections and elevating mood. Others help with cognitive abilities like focus and memory. But how can these aromatic compounds provide such extensive benefits to us humans? Some call it magic; some call it a biological breakthrough. Secreted in glandular trichomes, the same glands that construct cannabinoids like THC and CBD, terpenes are the building blocks for mort complex cannabinoids as well as the aromatic oils that give cannabis its distinguishing flavors and pungent smells. From sweet and fruity to skunky and sour, the smells produced by cannabis can be extremely distinct. What might surprise you is that the chemical structure of terpenes within marijuana will affect not only the smell but also the psychoactive effects produced when smoked or consumed. Some popular cannabis terpenes you may have heard of are are monoterpenes (responsible for most of cannabis’ essential oil), diterpenes and sesquiterpenes. Depending on the strain, the terpenes within marijuana can have a multitude of therapeutic effects. This is because of their action of binding to receptors within the brain, affecting the chemical output of neurotransmitters. For those of you not to knowledgeable in neuroscience, neurotransmitters are the little drifting communicators gossiping all kinds of important information to the receptors they bind with. Terpenes are capable of combining with or dissolving in lipids or fats as well as permeating the blood-brain barrier. They commonly target the dopaminergic, noradrenergic, and serotonergic neurons, inducing heightened appetite, happiness, feelings of ease, and an ability to sleep restfully. Remember, neurons are the nerve cells in the brain responsible for our ability to understand and literally be the humans we are. Using neurotransmitters as teenie weenie communicators, neurons cover a vast amount of psychological functions. By heightening the amount of dopamine and GABA neurotransmitter levels within the synaptic clefts (areas between neurons where chemical communication takes place) as well as mimicking the actions of serotonin reuptake inhibitors (a similar function to most antidepressants), several physiological benefits can be seen. I know what you’re thinking. Where can I get me some terpenes? Be patient; we will get there. Then there are terpenoids, terpenes’ half-siblings. The major difference here is that terpenoids have been denatured after chemical modification (drying and curation) via oxidation whereas terpenes are the purely naturally occurring hydrocarbons. In most cases, the two terms are used interchangeably – just know that any terpenoid once started off as a young terpene lad. At this point, it seems like terpenes can aid in pretty much anything in terms of mental and physical well-being. These are superhero cannabinoids, and it’s no wonder the topic of terpenes is blowing up. When it comes to the synergistic relationship between cannabinoids and terpenes, things become interesting. Both share the same biosynthetic pathways, but since terpenes are simply responsible for the aroma produced by cannabis, the addition of cannabinoid-induced effects can result in synaptic plasticity (learning and memory purposes) as well as an increase in the strength of THC, when present. The cannabinoid THC is well known for its vast array of potential applications. THC is the most prevalent and psychedelic component in marijuana. The synergetic relationship between terpenes and THC is said to be far more practical in treating medical marijuana patients. According to several studies done within the past decade, the presence of both compounds was related with a far more rapid onset of muscle relaxation as well as anticonvulsant properties in comparison to THC alone. The most important finding seemed to be that terpenes serve as inhibitors to THC’s intoxicating effects, thereby inducing the cathartic effects often observed. 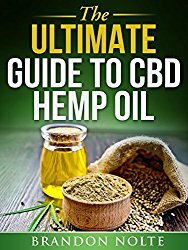 CBD Hemp Oil has gained a major amount of popularity over the past couple years because it lacks the psychoactive properties associated with THC. Naturally abundant in terpenes, CBD hemp oil is a natural botanical concentrate high in cannabidiol. 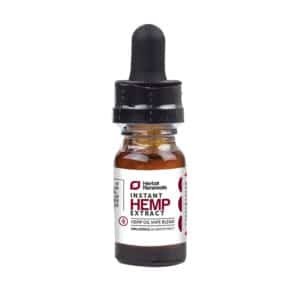 Often infused with beneficial ingredients such as omega-3 fatty acids, vitamins, chlorophyll, and amino acids, CBD hemp oil has worked wonders for many suffering with pain, medical conditions, and other physiological stressors. Depending on the amount (and kind) of terpenes present, the manner in which both the cannabinoid and the isoprenoid interact within the brain can vary. In the following section, the chemical components and general classifications of different terpenes will be discussed. 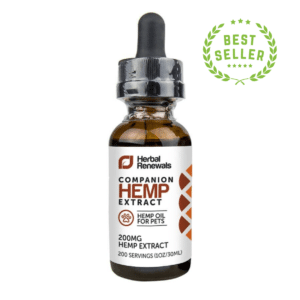 By definition, the entourage effect is essentially the synergistic communication among multiple compounds in marijuana or CBD hemp oil, like THC, terpenes, and other cannabinoids. Given this synergistic mixture, a multitude of enhanced positive effects can arise given one substance’s influence upon another. When isolating each individual component, the differences in the effects become apparent. However, given extensive research, it seems like terpenes fit the role of inducing pleasant side effects once mixed with other cannabinoids, so it’s suggested to not leave out your terpene ingredients from the mix. Ok, here comes the fun part. Since strains of marijuana can vary so greatly, the Green House Seed Co. found it helpful to incorporate a detailed infographic “flavor wheel” so that medical marijuana patients could determine which strain would produce their desired effects. (3) Super cool, right? The terpene wheel is an extremely useful data chart to determine which terpene and, therefore, which type of strain is best for a specific purpose based on a number of factors. Despite the variance of the wheels (companies set out to create their own wheels to market their own products), a very common one contains the name of six popular terpenes as well as the respective boiling point, aroma, psychological and physiological effects, other fruits or plants in which they are also found, key elements, and medicinal benefits. This wheel is best for beginners, but usually, any kind of terpene wheel is easy to use and understand. It’s just that that simpler ones can be quite useful for those who have little to no background in the subject but believe they will benefit from its use. There are over 200 different kinds of terpenes present in cannabis, mainly broken down into the spicy, bitter, sweet or sour types. Limonene, myrcene, pinene, and linalool are some common terpenes you may have already heard of. Each is found in a different host and exhibits a slightly different effect. 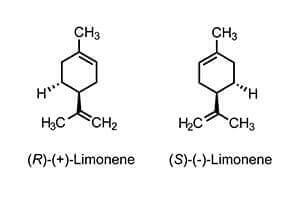 Limonene is a cyclic carbohydrate found in many fruits commonly used for flavoring, cosmetics, anti-fungal applications, weight-loss, and cleaning purposes. It’s aroma is quite citrusy. 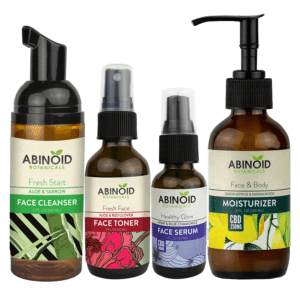 It can quickly pass through the blood-brain barrier (a really important membrane that separates circulating blood from extracellular fluid in our brain) and causes an increase in systolic pressure as well as an acuity in attention, focus, and libido. Limonene has exhibited some powerful muscle-relaxant and anxiolytic effects as well as antidepressant effects due to a rise in synaptic levels of serotonin and dopamine. In addition to this, this citrusy terpene has been recommended for anti-carcinogenic treatment given the ability to promote apoptosis (cell death) of cancer cells. Most notably, Limoneno was just recently patented, which helps significantly against gastroesophageal reflux. A common strain of weed containing this terpene is Super Lemon Haze (indica). Myrcene is the most common terpene found in cannabis, responsible for producing a very earthy and mildly fruity scent. Most of us have likely come across strains containing this terpene and would probably be able to identify the smell quite easily. Among some of its beneficial analgesic, anti-inflammatory, anti-mutagenic and antibiotic properties, usage of this terpene can leave you antispasmodic and sedative, which has been quite helpful for those struggling with insomnia. The synergic relationship between THC and myrcene increases the psychoactive properties of THC. 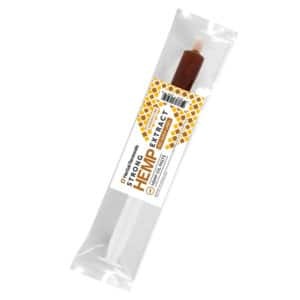 It has been noted that this musky terpene also lowers the resistance across the blood brain barrier, allowing substances like cannabinoids to flow in more easily. Additionally, the Bonamin et al. study determined that there were strong correlations between the prevention of peptic ulcer disease and the usage of myrcene. (4) A common strain containing this terpene is Lovrin 110 (indica) – but don’t get too carried away with your consumption of this strain unless you want to risk being couch locked. Unsurprisingly, the bicyclic monoterpenoid terpene pinene omits an odor very similar to that of pine and fir trees. Given extensive studies, this terpene has exhibited useful applications as it is commonly used as an expectorant, bronchodilator (it has a widening effect on the bronchi), anti inflammatory, anticarcinogenic and a local antiseptic. In relation to its interaction with THC, it has been observed that pinene counteracts the effects of THC, thus decreasing the amount of acetylcholine (stress hormone) in the synaptic cleft between neurons. This, in turn, improves concentration, well-being, and drive. 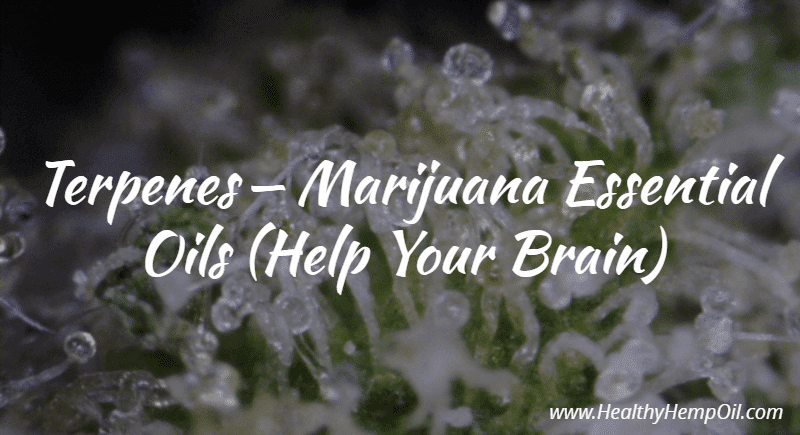 Interestingly, the addition of pinene to THC produces a synergistic effect that helps with the inhibition of sharp short-term memory when THC is consumed on its own. A common strain containing this terpene is Trainwreck (sativa). There has been an awesome discovery regarding their synergy. When both linalool and THC are either smoked or consumed together, data shows that the anxiety often provoked by pure THC subsides substantially, placing linalool as an extremely helpful compound in the treatment of psychosis and anxiety. A common strain containing this terpene is Amnesia Haze (sativa dominant). For cannabis derived terpenes, Blue River Extracts (6) seems like your best best as far as their ratings go. However, the prices will be higher in comparison to non-cannabis-derived terpenes, which can be purchased through Denver Terpenes (7) or CBDistillery (8). But when it comes to quality, a terpene is a terpene. You can expect to pay higher prices for those products derived from cannabis because it is rather difficult to isolate the terpenes – the percent yield is fairly low, and very high-quality marijuana is typically needed. Despite being a novel topic with little research, the usage of terpenes has exhibited an exponential growth in popularity both medicinally and recreationally due to their multifaceted therapeutic applications. Given a growing amount of research and data on the topic, we hope to see a future where people have an even greater understanding of both the biological basis of terpenes and their beneficial traits. So, what are some ways you can think of using terpenes in your life?